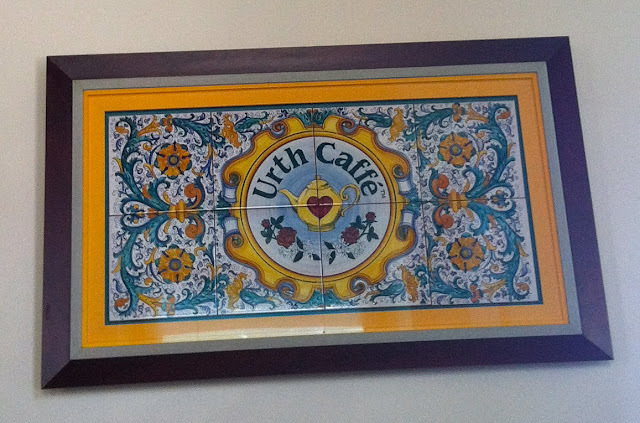 While we were in California, my sister absolutely insisted we eat at one of the Urth Caffes. 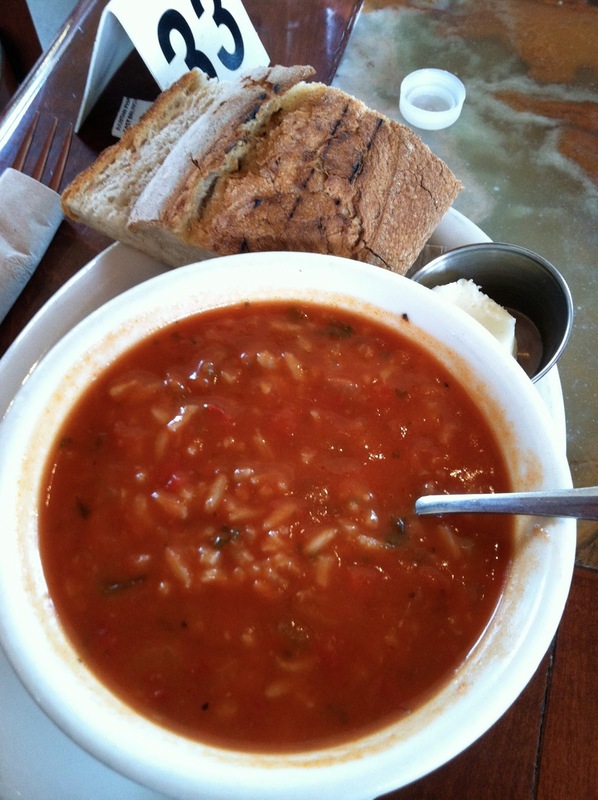 While we were shopping in Santa Monica, we made it our lunch destination. It was worth the 2-mile walk roundtrip! Sissy and SS both ordered sprout sandwiches, and I had a pizza and tomato & rice soup. 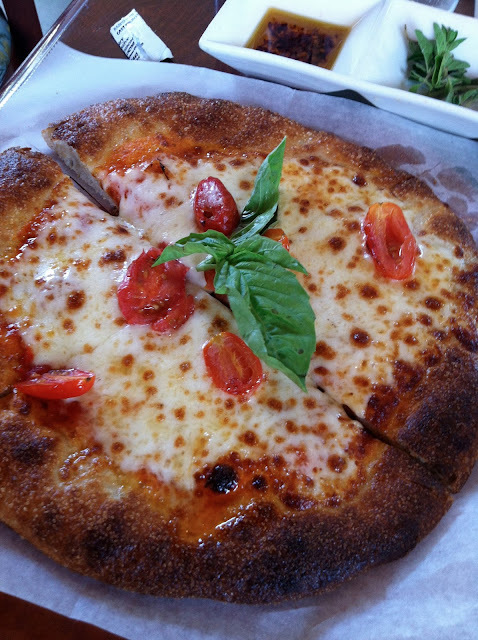 Everything tasted so delicious and fresh! There was a huge line, but once you ordered they had a host to seat you. We devoured the meal. That said, the pièce de résistance was absolutely the giant piece of pumpkin pie with whipped cream that we had. We could have eaten a slab of it individually, it was so addicting. Pumpkin pie is my #1 favorite, and this may have been the best one I've had in my life. I know, my Grandma made my favorite pie, but I think she and I could agree to eat this one together and let it be a contender.